Unless you’ve made the switch to a different form of cannabis consumption, there’s at least one thing you need to smoke your weed; good old rolling papers. Though most cannabis consumers grab a couple of loose ones offered for free at their go-to coffeeshop, we suggest you stock up on the best rolling papers available in Amsterdam and never run out again. If you’re reading this, you probably know what weed is and how to use the herb. Some of you might enjoy to toke ‘the milk’ out of a glass bong, while others prefer a handy pipe like our Weezy – including a carbon filter for a cleaner smoking experience. A couple of you might already have made the switch to more modern ways of using weed, with vaporizers and other technologies. Though the bigger part of cannabis consumption in the Netherlands (and the rest of Europe) still occurs the old-fashioned way: (big fat) joints carefully rolled in ‘King Size Rolling Papers’. But to ensure a nice taste and comfortable smoking experience from your own-roll, you’ll need good paper. Apart from good weed that is. To ensure a nice smoking experience, you’ll need good rolling papers; apart from good weed. That’s right, not all paper is the same. Especially when it comes to rolling papers for the cannabis industry. There are hundreds if not thousands of rolling paper manufacturers. Each with their own idea of how the ideal rolling paper for the cannabis community should be made. 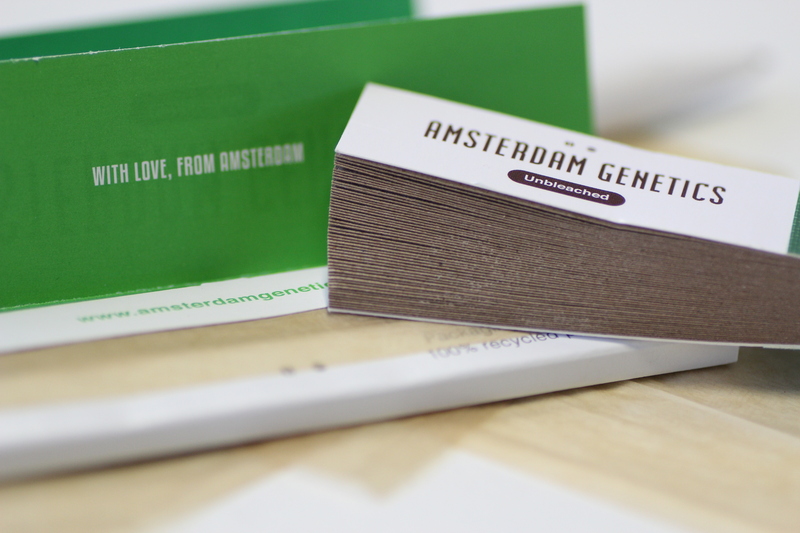 Thanks to our valued customerbase, we at Amsterdam Genetics were able to develop rolling papers living up to the highest standards. Making the products available in our line of Smoking Gear arguably some of the best rolling papers in Amsterdam, if not the world! 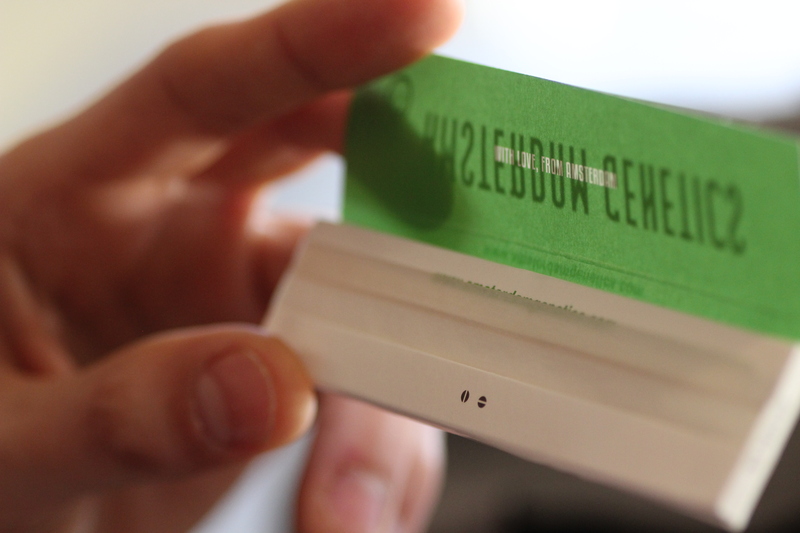 Like most brands, Amsterdam Genetics Rolling Papers are available in two sizes: King Size and King Size ‘Slim’. The King Size rolling papers are also known as ‘regular’ and measure 110 x 53 mm. These are somewhat wider than the ‘slim’ rolling papers and are best used by people that like a little more paper to hold on to while rolling – or those who enjoy smoking big and heavy joints. Of course, having more paper to hold on to while rolling also makes it easier to backstrap a joint (roll it inside out). Hence why these papers are often used for this type of joints. After all, the excess paper is ripped off and thrown out. Apart from the regular, wider rolling papers described above, Amsterdam Genetics rolling papers are also available in a ‘slim’ version. Like the name suggests, these papers aren’t as wide as the regular King Size Rolling Papers: 110 x 44 mm. Slim rolling papers are often used by smokers that enjoy slimmer joints, don’t backstrap their joint but still want to avoid smoking too much paper or simply find the slim papers easier to handle. What makes Amsterdam Genetics Rolling Papers arguably some of the best around, is the fact that they are more sturdy than most brands. Where most papers are made from 140grams paper (14gr/m2) Amsterdam Genetics’ rolling papers are produced using 170 grams paper (17gr/m2). This isn’t noticeable in the taste when smoking, but is does make the papers better resistant against ripping mid-roll. Score! Apart from the variations in size, Amsterdam Genetics Rolling Papers are available both bleached as well as unbleached. Because as you might imagine, paper itself isn’t white. As rolling papers are made from wood-pulp, brownish when untreated, chemicals are added to make ‘bleached’ rolling papers appear white. These chemicals are not necessarily bad for your health, but not necessary in the first place. You won’t notice it if you don’t know any better, but the chemicals used in these bleached papers can be noticeable when you compare them to our unbleached range of rolling papers. 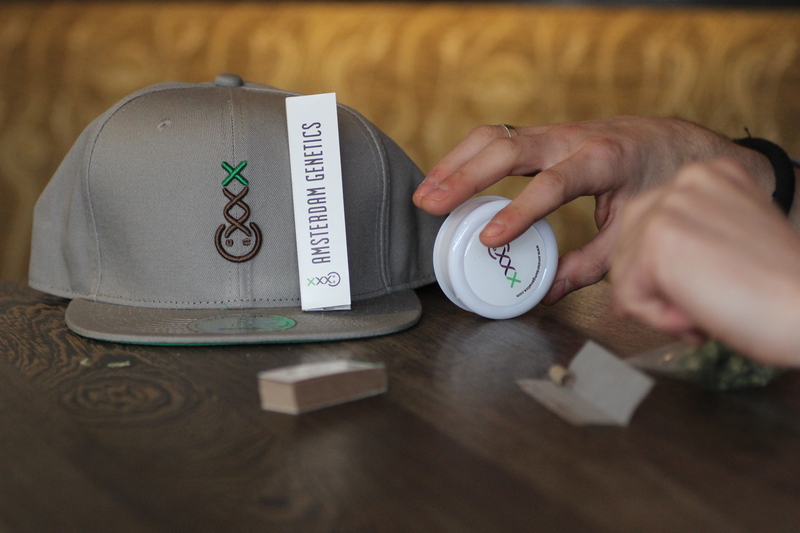 Amsterdam Genetics Unbleached Rolling Papers are made from 100% FSC certified wood pulp and are 100% free from chlorine (TCF, Totally Chlorine Free). To top it all off, the packaging is even made from fully recycled 200gr/m2 paper, so good for the environment and guaranteed the best smoking experience. STOCK UP AND NEVER RUN OUT! Use the code ‘AG19SG‘ when checking out and receive 20% DISCOUNT on all Rolling Papers and Filter Tips!